CAMBRIDGE, Massachusetts, USA — Saturday, March 20, 2015 — The Free Software Foundation (FSF) today announced the addition of Kat Walsh to its board of directors. She becomes the ninth director on the FSF's board. The full list of FSF board members, including biographies can be found at https://www.fsf.org/about/staff-and-board. "Seeing how Kat Walsh has championed software freedom in other organizations, she is a natural choice for the FSF board," said FSF president Richard M. Stallman. A lawyer with extensive background in the free culture movement, Walsh brings a wealth of experience with law and licensing to the FSF board. 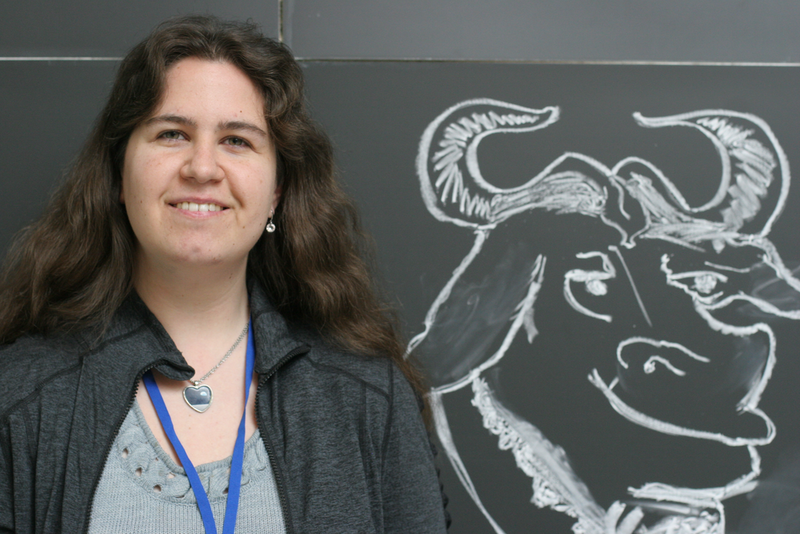 In particular, her skills will help support and oversee the FSF's licensing work on the GNU General Public License (GPL) as well as the LGPL and GFDL. Kat worked as a staff lawyer at Creative Commons, where she was on the team that drafted the last major revision to the family of Creative Commons licenses, completed in November 2013 with the release of the 4.0 licenses. Walsh also brings a deep understanding of non-profit management. An active contributor to Wikipedia, Walsh was elected to the board of directors of the Wikimedia Foundation (WMF) for three terms between 2006 and 2013 and served as the organization's chair from 2012 to 2013. During her tenure on the board, she helped oversee the organization's growth from a staff of 3 to over 150. In 2005, the FSF awarded Wikipedia the first ever Free Software Award for Projects of Social Benefit, which is presented annually to the project or team responsible for applying free software, or the ideas of the free software movement, in a project that intentionally and significantly benefits society in other aspects of life. FSF board member Benjamin Mako Hill said, "As a WMF advisory board member since 2007, I have worked with Kat extensively and have seen her deep commitment to free software firsthand. Kat's consistent and clear advocacy for free software, free documentation, and free media formats in the Wikipedia community and the Wikimedia organization has played an important role in Wikimedia's strong defense of free software and its advocacy of free software principles more broadly. I am thrilled she will bring that commitment and passion to the FSF board." FSF executive director John Sullivan said, "In addition to her commitment to free software, Kat's deep experience in nonprofit management and her leadership in licensing bring important skills to the FSF board. Kat has been an FSF associate member and supporter for many years and we are excited that she agreed to step into a leadership position within our organization and movement." Walsh is a member of the Virginia State Bar and the US Patent Bar, and holds a JD from George Mason University. On accepting the invitation to join the board, Walsh said, "I'm honored to join the leadership of this organization—the FSF's work and principles support a free society by enabling individuals to control the software that is an increasing part of everyone's life, particularly as the consequences of losing that control—particularly loss of privacy and freedom of speech—become greater. I look forward to using my skills to help advance its mission." The announcement was made at LibrePlanet, a conference organized by the FSF and MIT's SIPB that is being held this weekend in Cambridge, Massachusetts. LibrePlanet has been held annually since 2009 and brings together participants from around the world for talks and events related to the broader free software movement. Walsh, who has attended every LibrePlanet meeting, was in attendance for the announcement. The Free Software Foundation, founded in 1985, is dedicated to promoting computer users' right to use, study, copy, modify, and redistribute computer programs. The FSF promotes the development and use of free (as in freedom) software—particularly the GNU operating system and its GNU/Linux variants—and free documentation for free software. The FSF also helps to spread awareness of the ethical and political issues of freedom in the use of software, and its Web sites, located at fsf.org and gnu.org, are an important source of information about GNU/Linux. Donations to support the FSF's work can be made at https://donate.fsf.org. Its headquarters are in Boston, MA, USA. More information about the FSF, as well as important information for journalists and publishers, is at https://www.fsf.org/press.